Sometimes, I buy a travel guide-book just because I am dreaming that I'll visit the country someday. It's not because I’ve plan my travel journey. I’ve bought Nepal guide-book, although I’m not sure I will visit Nepal this year. Yeah, it’s me. I love indulging my dream of travelling by reading traveller’s tales or travel guide-books. 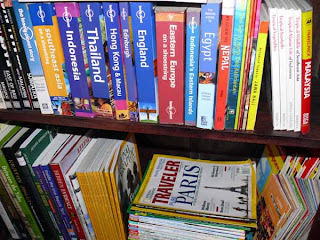 But, the price of travel guide-book is too expensive for me, makes me can’t buy all books of my dreaming countries. So, waiting for sale season is a must. Sometimes, I spend time to look for them in used bookshop. 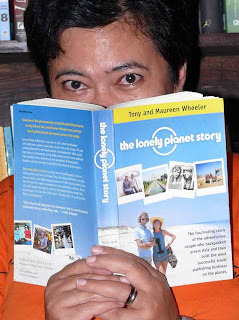 Few years ago, I found 2 Lonely Planet (LP) books at second hand book kiosk on Jl. Kramat Raya Jakarta (Senen Area). They are “Eastern Europe” and “Indonesian’s Eastern Islands (From Lombok to Timor)”. I only paid about Rp 50.000 for both of them. Even the seller gave me a bonus, an old printed London City Guide. The Indonesian’s Eastern Islands was printed by LP only for once in 1998. I’m lucky I found it. 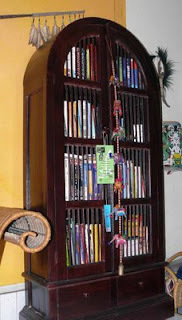 The other second hand bookshop I like to visit is Ganesha Bookshop at Ubud – Bali. This little bookshop has many imported new and used books in good condition. (I’ve seen Richard Oh, the owner of QB World Books at Ganesha years ago!). 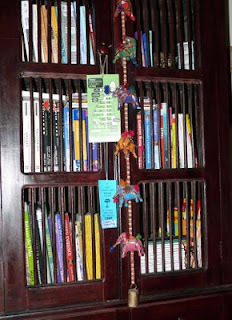 Some of my travel guide-books were bought at Ganesha. We can return or sell the book to Ganesha in half price, too. 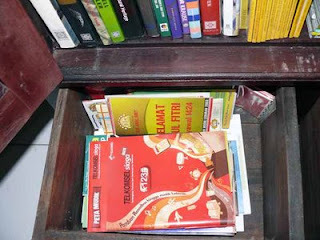 I’ve plan to return one of them, LP book “Indonesia” because I have the newer one which printed in 2005. Beside travel books, I love to collect maps. The Periplus’ yellow map series is very good map. 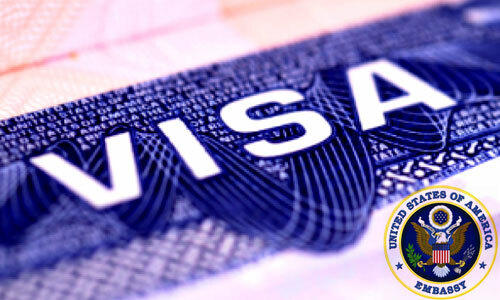 It folded in thin, has complete information. We’ll never been lost using Periplus map. Beside city map, I collect “mudik” map, too. Mudik or upstream is one of Indonesian urban phenomenon. Every year, few days before Idul Fitri, most Indonesians back to their hometown in Java. Usually, big companies published “mudik map” such as TELKOMSEL, Indosat, Sampoerna, etc.